New Year, new start. And so, the (almost) annual commitment to do this sort of thing better is made. No more "have you published the blog?" questions as the lights are turned off and the pub beckons. Oh, no. We're doing it properly. For January, at least... Therefore, welcome to our first agency update of 2018. It's been a hectic start to the year for Ingenious, as can see from the stories below. We're thrilled to have been appointed by clients old and new to deliver a diverse range of creative projects, all of which and more we will feature in our regular updates over the coming year. We hope you enjoy reading about them! Moat Brae First off, we've been appointed by the historic Moat Brae in Dumfries. Moat Brae was designed by local architect Walter Newall in 1823 for local solicitor Robert Threshie. At one time it was known as ‘Number One Dumfries‘ and had been a significant property in the town, both as a private residence and as a private hospital/nursing home. The house and gardens were also credited by J.M. Barrie as inspiration for his legendary story, ‘Peter Pan’. The Peter Pan Moat Brae Trust are now restoring the structure and fabric of the Georgian building, securing its future as a major asset for the local community, whilst establishing a national centre that will celebrate children’s literature and storytelling across all time and all cultures. The trust also intend to reinvent the garden as J.M. Barrie’s Neverland, his ‘enchanted land’ where the playing of childhood games so inspired him. Ingenious will be responsible for delivering the brand identity and visual language for the house, gardens and centre for children’s literature. Given the diverse Moat Brae ‘offer’, which is as much about the future of children’s literature as it is about preserving a national landmark, the work needs to be flexible enough to develop in parallel with the Trust and their work on Moat Brae. We’re thrilled that our initial creative routes have been so well received and we look forward to showing the work here as it develops. Macclesfield Barnaby Festival We’re also pleased to announce that we've been selected by our Macclesfield neighbours the Barnaby Festival to deliver creative direction and marketing collateral for the 2018 edition of the festival. Barnaby has become an incredibly popular and diverse arts and cultural festival, which takes place over ten days every two years in June. The biennial celebration is inspired by Macclesfield’s rich history, heritage and culture, and ‘Pop Up’ events also take place outside of festival season as part of a broader outreach programme. The appointment rekindles a relationship that saw Ingenious delivery the 2012, 2013 and 2014 creative work, some of which you can see below. We’re delighted to be asked to once again work on such an inspiring opportunity and can’t wait to get our ideas out in the open! 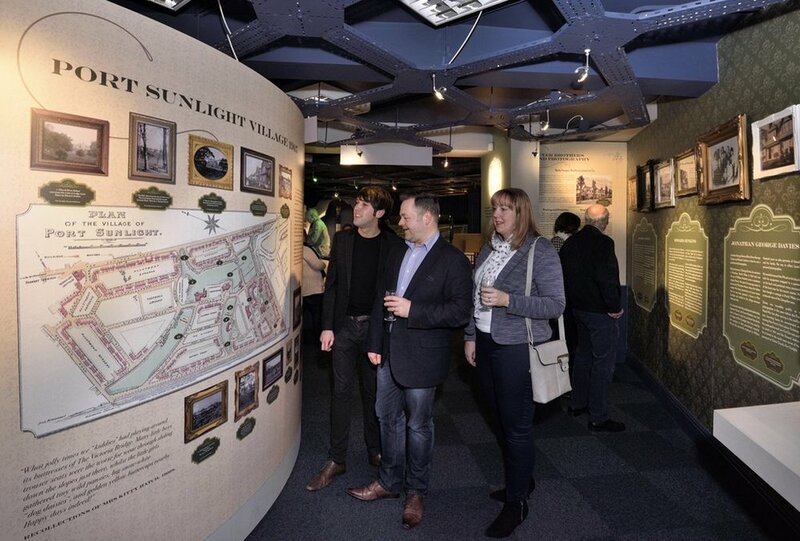 Port Sunlight Village Trust We’re thrilled to be asked to work on a new exhibition project for long-standing client Port Sunlight Village Trust. The Trust are custodians of Port Sunlight on the Wirral, and was built in 1888 by William Hesketh Lever for his Sunlight soap factory workers. This appointment follows on from our ‘Jenkins Cotton Davies’ photography exhibition of 2016 and complements projects such as the quarterly Port Sunlight Gazette, which is distributed to all residents of the village. Vodafone Automotive Speaking of Automotive, we’re once again working with long-standing client Vodafone Automotive to implement the recent Vodafone global brand update. Our work is encompassing all automotive-based marketing communications, as well as the internal office environments at their two sites in the North West of England. Ingenious have worked with Cobra UK, the forerunner of Vodafone Automotive, since 2007 and as the images below show, we were also responsible for designing, implementing and project managing the migration from Cobra to Vodafone branding when the business was first acquired in 2015. You can see more on our website. 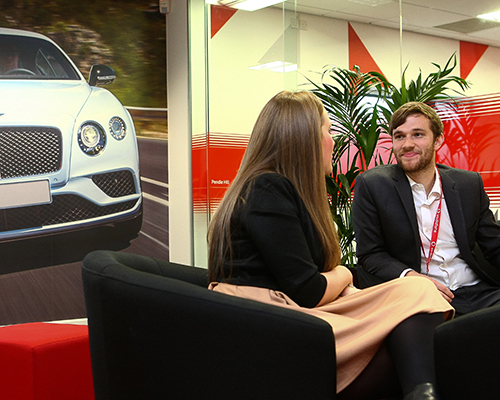 We’re fortunate that we have got a great understanding of the automotive industry and of course the client’s core business, and we’re always thrilled and flattered when clients of the standing of Vodafone come back to us time and again. We’re excited by the opportunities going forward and can’t wait to see the revised print work in circulation, and new graphics on the walls of the offices! Andrew Smith Consulting Ingenious have recently delivered a new brand identity for Andrew Smith Consulting, a new company established by long-time client and good friend of the agency, Andrew Smith. ASC will be operating in the fast moving automotive and automotive technology space, where Andrew has gained first class experience working at senior levels for global automotive manufacturers,tier one suppliers and telecos. We look forward to helping the new business grow and supporting ASC with creative input over the coming months.